Earlier this week saw the release of our latest Tipster Profit Report – your ticket to finding out just who the best-rated tipster services actually are – those experts with a proven track record of success. The Tipster Profit Report contains the exact profit and loss details of more than 55 different short-listed tipsters, so you can see how they their tipping performance stacks up and who you should follow. It’s not just results that we evaluate either, but everything from odds availability, customer service, practicality, cost and betting bank growth. All with the central aim of informing you as to who the best tipsters actually are. And so to showcase the power of this report, I wanted to share with you extracts from it, including the tables outlining the top 10 tipsters of all-time and from the past 12 months. First of all, let me show you an example of our ‘top ten tipster services of all time‘ table. We judge each tipster based on the annualised profit they have made if working to a £2000 betting bank. This annualised profit figure helps to put their results into context with some real world sums of money. Although it’s important to make clear you don’t need as much as £2000 to get started – it is just a sum for easy comparison. Even Service 10, would have more than doubled your starting bank in an average year with a profit of £2,754. What’s more, we are uncovering more and more top tipsters all the time as can also be observed by the new entry at number 5 in the table. They are averaging £3,981 on an annual basis for their followers. Have made the largest profit of all-time. Have enjoyed the best past 12 months. Generate the highest return on Investment. Make the largest betting bank return. Offer the lowest workload to follow. Are easy to get advised odds with. And most importantly…have a genuine track record of past success! In each Tipster Profit Report, we also produce several other ‘tipster tables’ so you can quickly and easily find the best, in-form services. These tipster tables are also designed to be completely realistic, so you can find out the total profits after all costs have been deducted, such as tipster subscription fees. 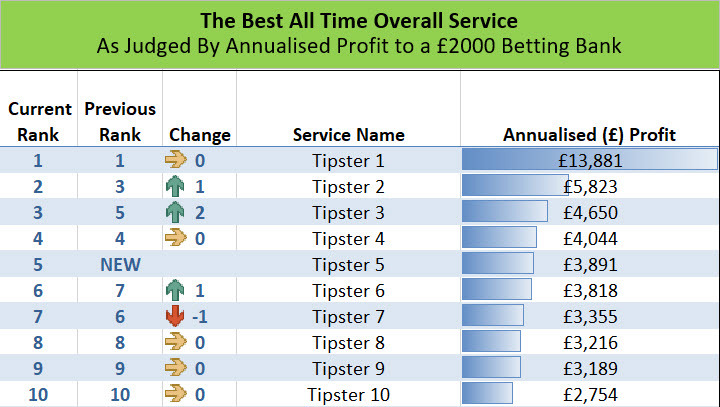 For example, check out the top tipsters from our Best Overall Service Of The Past 12 Months table below (again from this latest report), which lists the top performing tipsters from the last 12 months if working to a £2000 betting bank. Once again, we have blanked out the names as this is for full members only, but as you can see, the top tipsters are making an excellent profit. This table also includes other key figures such as Return on Capital (12 month ROC) and Return on Investment (12 month ROI). The highlight of this table is clearly Tipster 1 who made a £14,042.00 profit AFTER FEES in the past 12 months and all from just the £2,000 starting point. Next up is Tipster 2 with a £4,624 profit and even Tipster 10 has made a £1,969 profit from a £2000 starting point after fees over the past 12 months. The Tipster Profit Report is incredibly unique as its the only place you can read about the best betting tipsters and just how they continually perform. Reviewing tipsters is one thing, but understanding how and if they are able to maintain a profitable record, plus how they compare to other tipsters is absolutely vital. All of which is why my crack team of SBC analysts verify and ‘proof’ hundreds of different tipsters every month and keep detailed records of their results to help compile each Tipster Profit Report. After all, any tipster can pick a few winners by luck, but those tipsters that make profits year-in, year-out are the ones to follow and can be found in our Tipster Profit Report. The goal as ever is to help you with your betting, whether joining as a total newcomer or experienced punter. 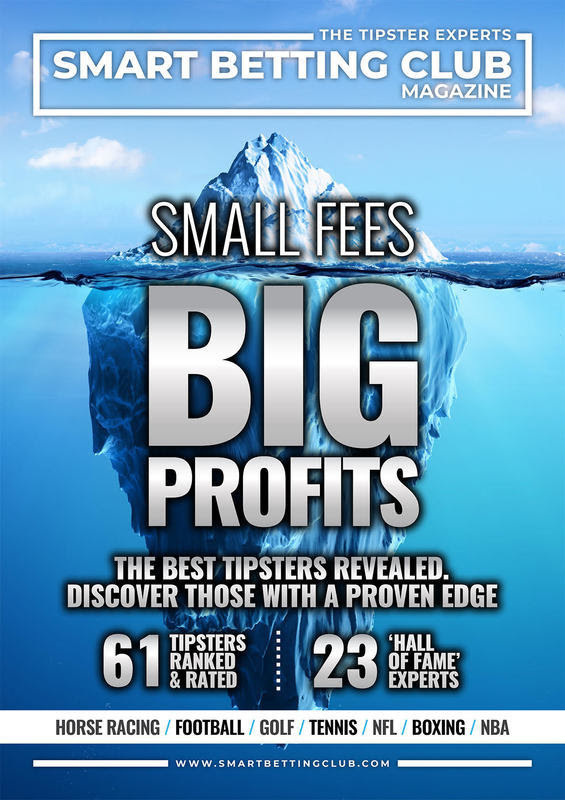 You can pick up a copy of the Tipster Profit Report the instant you join the Smart Betting Club. Best of all, you can currently join and take advantage of our lowest ever membership prices. …With This Must-Read ‘Tipster Profit Report’! Featuring over 55 of the very best betting tipsters uncovered since 2006 and unique ratings, rankings and reviews, it is your ticket to discovering the experts you must follow. Whatever the sport you are interested in or level of experience betting – inside this report you can discover the tipsters with fully verified, profitable records dating back several years. Including those with the best profit, ROI and betting bank growth figures PLUS those awarded a prestigious SBC ‘Hall of Fame’ rating. You can access this Tipster Profit Report the instant you join the Smart Betting Club. 2019 LOWEST PRICED MEMBERSHIPS: Join SBC now and benefit from our cheapest ever membership options. Each Tipster Profit Report is designed to help you find the very best betting tipsters – those that have proven themselves to be successful over a long period of time. Anyone can pick a few winners every now and then but it takes REAL SKILL to beat the bookmaker over the long-term – which is exactly what this report reveals. Unique ‘Suggested Profits’ Tables – Discover how much money you need to risk on each tipster to make a profit – and how much you can make if doing so. Fully tailored to each tipster to be entirely realistic. You can access your own copy of the Tipster Profit Report and our entire back catalogue of magazines the instant you join the Smart Betting Club. £27.99 per quarter works out at just £2.15 per week – way less than the cost of the Racing Post. Inside you can read the latest results, league tables and ratings for 60 different tipsters, including the 19 experts holding a prestigious ‘Hall of Fame’ award. 2018 was an exceptional year for many of the expert betting tipsters we closely monitor here at the Smart Betting Club, with many of our members making strong profits following their advice. Whether it be the football tipster more than doubling their betting bank in the year or the 1-a-day racing tipster making over 127 points profit @ 41.56% ROI in 2018 alone – there are numerous recommended tipsters for you to discover. 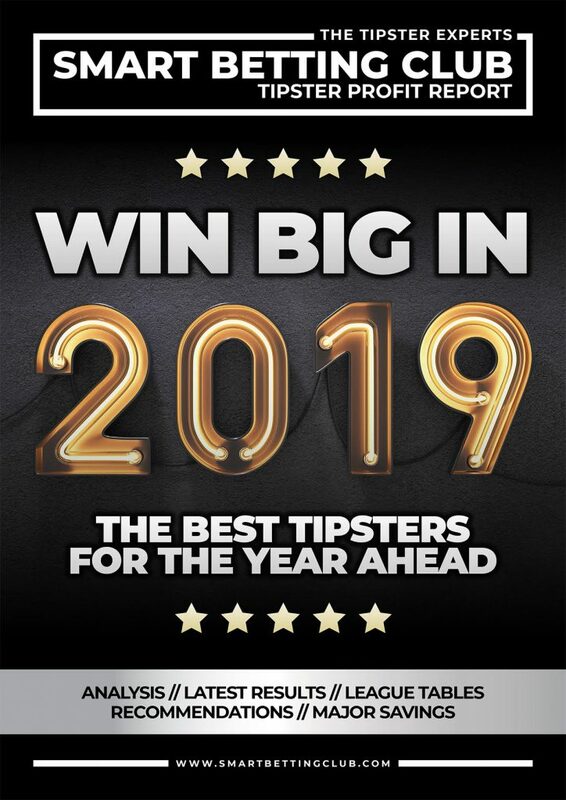 Learn how you can make 2019 your year of betting profits with this latest Tipster Profit Report. 2019 LOWEST PRICED MEMBERSHIPS: Join SBC now and benefit from our cheapest ever membership options including from just £27.99 + VAT per quarter. As a Smart Betting Club member you can benefit from a large number of exclusive special deals including free trials and large discounts on many of the very best tipster services – including several of those featured in this latest Tipster Profit Report. Very often these exclusive discounts will help you save more than the cost of joining the Smart Betting Club in the first place! These deals and offers are all thanks to the combined power of the Smart Betting Club, where through our unique contacts we are able to negotiate exclusive deals for you as a member with these top tipsters. Sign-up today and see how much we can save you on the cost of joining the best betting experts. The latest SBC ‘Tipster Profit Report’ has just been published featuring details on the best tipsters we have uncovered since 2006. Inside you can read the latest results and comparative league tables for 61 different tipsters, including the 23 best tipsters holding a prestigious ‘Hall of Fame’ rating. With several top tipsters making big profits, yet only charging small fees (under £30 per month), it’s everything you need to help you make your betting pay. Anyone can pick a few winners every now and then but it takes REAL SKILL to beat the bookmaker year after year after year – which is exactly what this report reveals. To help illustrate just how good the best tipsters are and to help find the right one for you, we break them down into different categories so you can easily compare. SBC’s latest Tipster Profit Report has just been published, featuring ratings, rankings and reviews on the very best betting tipsters we have uncovered in the past 12 years. It includes details on the tipsters that can help you build your betting bank – without breaking it and costing a fortune! 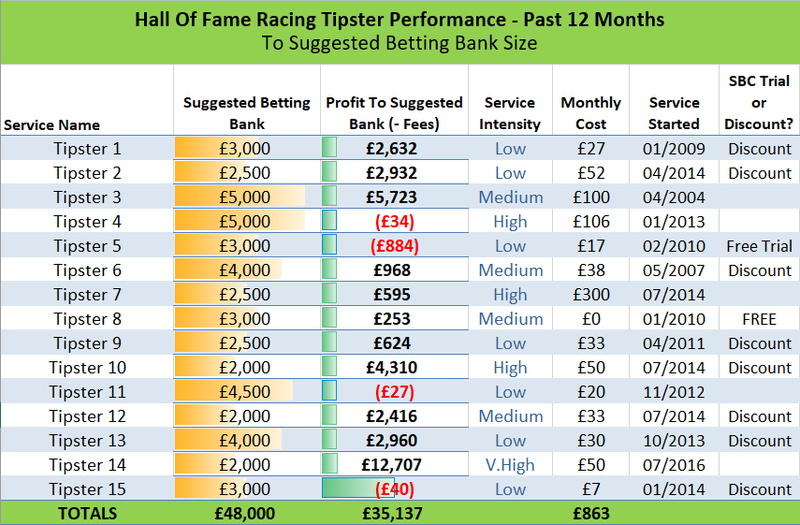 So if you are interested in betting for profit with tipsters and discovering which experts we rate in our ‘Hall of Fame’, then this report includes everything you need to get started. Inside This Tipster Profit Report.. The Racing Tipster With 137% Bank Growth So Far In 2018! Details on all of these tipsters and many, many more can be found throughout this report. Find The Right Tipsters That Suit You! You can access your own copy of this Tipster Profit Report and our entire back catalogue of magazines the instant you join the Smart Betting Club. This includes every single tipster review we have ever written (there are literally hundreds available!) and all of the Hall of Fame Tipsters we recommend to make you money betting. You can also enjoy significant discounts on the cost of joining many of these tipsters via our unique Tipster Discounts exclusively available to SBC members only. Best Of All – Save £45 Currently! Best of all, by joining the Smart Betting Club today you can also save up to a whopping £45 on the usual cost of membership. This is because we have slashed the cost of joining in 2018 to ensure you can benefit from our expertise without breaking the bank. As a Smart Betting Club member, you can enjoy access to our huge 12 year back catalogue of magazines and reports – all designed with the central goal of helping you to improve your betting profits. The Smart Betting Club can help you! 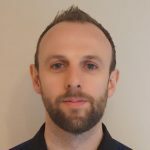 …And with a huge amount of content released in the last few months alone, below I have compiled just a few of the recent highlights and how they can help you. 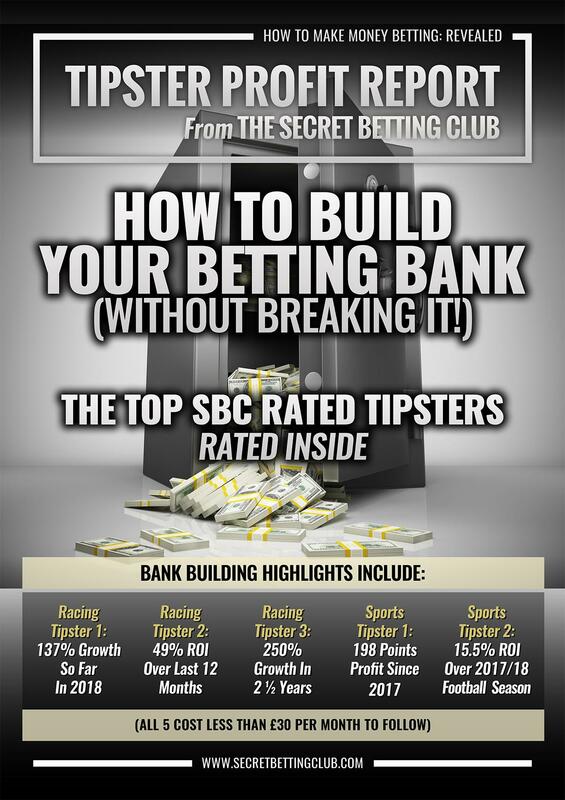 SBC Magazine #104 features reviews of 2 new profitable, betting exchange-friendly tipsters. It includes the uniquely profitable Tennis System with a 5-year winning track record AND the favourite-backing Racing Tipster with 140% bank growth. Both tipsters are ideal for following on betting exchanges – ideal for those of you unable to bet with bookies. 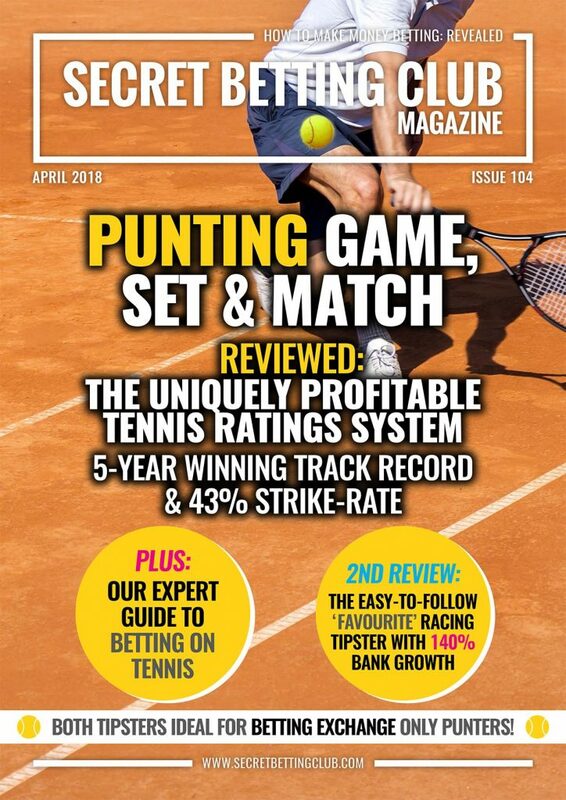 You can also read our special guide to betting on tennis where we explain you need to know from the bookies to use, tournament & betting market structure, type of bets & much more besides. 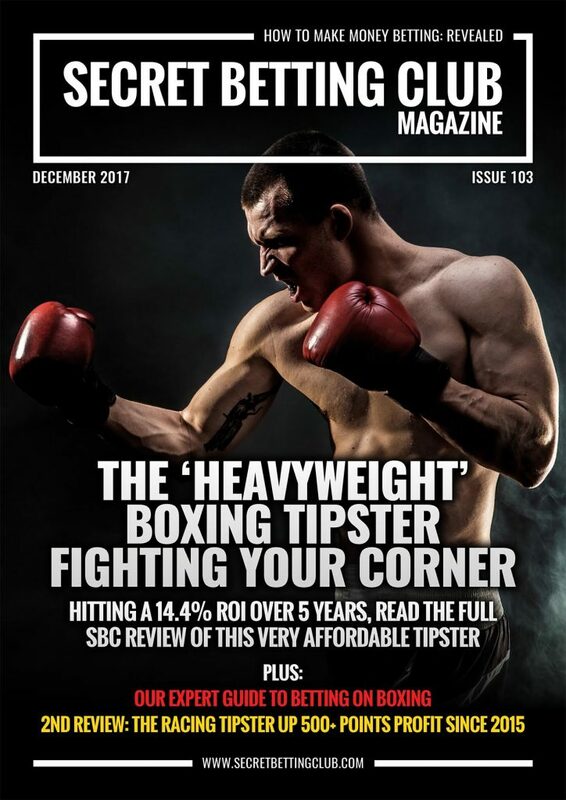 SBC Magazine #103 features 2 more profitable tipster reviews including our first ever look at a profitable boxing tipster with a heavyweight record at the bookies. With a track record of 14.4% ROI over 5 years, this expert continues to stack up the profits. Best of all – he costs just £10 a month to follow in. You can also delve into our exclusive review of the racing tipster with a significant edge over the bookies. Having generated well over 500 points profit and 434% Betting Bank growth since 2015, we put them under the SBC review microscope. The latest SBC Tipster Profit Report features ratings, rankings and reviews on 58 of the very best betting tipsters we have uncovered since 2006. Anyone can pick a few winners every now and then, but it takes REAL SKILL to beat the bookmaker year after year after year – which is exactly what this report reveals. Best of all – the 58 tipsters included in this report have been independently evaluated and ranked with no affiliate links or kickbacks (unlike so many other ‘tipster review’ websites). The Smart Betting Club has a unique, 100% independent reviewing policy so when we say a tipster is good – it’s because it truly is and not because someone is paying us to say to! Access to the 2018 Best Tipster Guide provides you with 4 detailed reviews of some seriously profitable tipping experts – the best we have found yet. 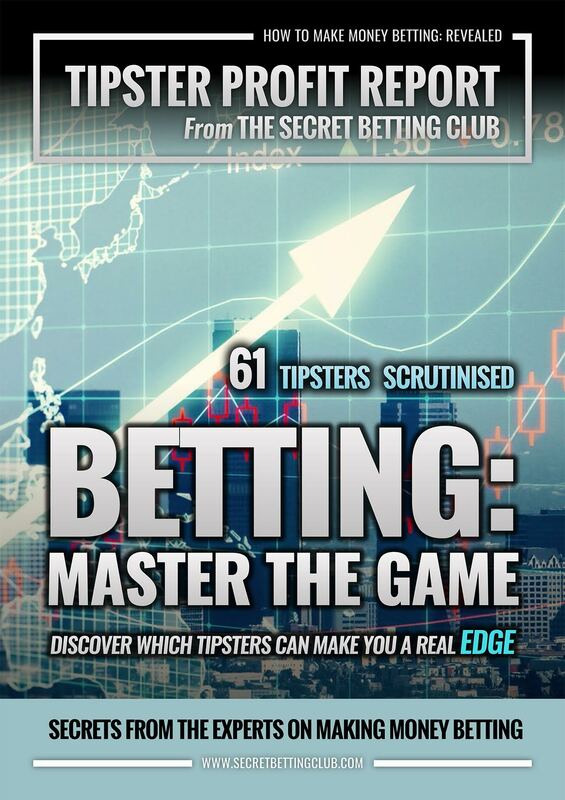 The first 2 reviews are out now and are must reads for those of you serious about turning a profit from your betting. The first tipster unveiled in the 2018 Best Tipster Guide has been included thanks to the exceptional profits made since they began proofing advice to us back in May 2015. Over the course of 2 and 1/2 years and 1176 bets, this tipster has made a fantastic profit of 457.1 points at a very impressive 14.5% Return on Investment. The second tipster featured in the 2018 Best Tipster Guide is for our money, one of the best pound-for-pound racing experts that we have ever had the pleasure to come into contact with. Having proofed his advice since 2012, over the past 6 National Hunt seasons (for that is his specialty) he has made a Return on Investment of 35.1% from 1,305 bets advised. Focusing solely on the big race meetings, there are no issues at all obtaining the odds he quotes and matching the profits he has generated over the years. It is an ideal service if you are restricted to betting exchanges only. How I Make Money Betting’ is the name of a new and unique set of interviews with winning punters, tipsters and expert gambling professionals, published by the Smart Betting Club. With a collection of interviews available immediately and more planned throughout 2018 and beyond – it’s your chance to learn the secrets behind the betting success of several very different gambling figures. This series was kickstarted by a detailed interview with Andrew, AKA ‘The Value Bettor’ who is the founder and brains behind the tremendously popular National Hunt tipping service of the same name. 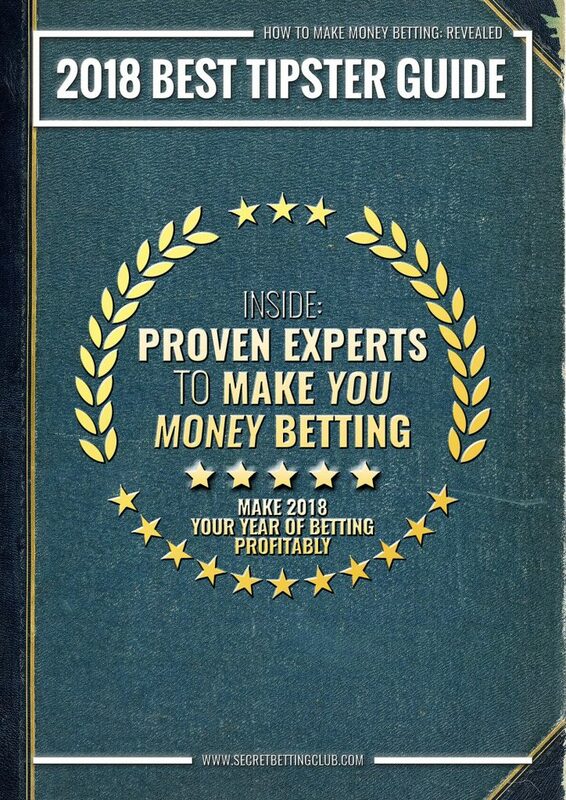 As an extra bonus report, you can also read some of the best ‘How We Make Money Betting’ interviews we have published in the past in our Legacy Report. The above is just a small snapshot of what has been released by SBC recently and you can access all of it and a LOT MORE with a Smart Betting Club Membership. In operation since 2016, you can access 12 years worth of tipster reviews, profit reports, specials and betting magazines as an SBC member. We offer 3 different membership options – Silver, Gold and Platinum to suit all budgets and to help you access the content you want. You can read about each membership tier and get your SBC membership started instantly via our Subscribe Page. Best of all, you can also save up to £45 on the cost of joining thanks to our hugely discounted 2018 prices! How Much Can A Tipster Really Make You? That is the question I was posed recently by a punter intrigued by what we do here at SBC, yet ultimately unsure on just how much they could make betting with our help. After all, once you take into consideration tipster fees and the time and effort getting your bets on – is it worth your while? Judging by the frequency I hear this question, it appears to be something on a lot of punters minds. So I thought I would tackle this question today, using some examples from our latest Tipster Profit Report, such as the tipster that made a £12,707 clear profit from just a £2,000 starting point in the past 12 months. The first thing to make clear about the tipping world is that it has moved on significantly since the Smart Betting Club first started way back in 2006. Forget the prehistoric tipsters putting up 5/4 shots each way or advising you to ring their premium £1.99 a minute hotline for their latest odds-on tip. Whilst you might still find a few of these prehistoric types advertising in the Racing Post (a topic for another day), the tipster world has moved on. Nowadays, there are many highly professional and well regarded tipster services with a history of genuinely achievable profits behind them, generated over several years. They put their customers first, settle their bets at realistic odds and best of all – are simple to follow. The very best tipsters can be found in what we term our ‘Hall of Fame’ – which are those tipsters we recommend as offering an excellent level of service at reasonable prices, which are best of all profitable. So to go back to the original question and just how much a tipster can make you? To explore this, it’s worth checking out the ‘Suggested Profits’ tables we publish in each Tipster Profit Report – an example as taken from the last report I have copied below. These reports gives you the latest on the best tipsters and just how much they have made on an ongoing basis. Enabling you to find the best, in-form experts and those consistently ahead of the bookie. I have had to remove the tipster names as this is for Smart Betting Club members only (sorry – that’s the secret bit) but as you can see the profits on offer are vast. • ‘Tipster 14’ enjoyed the best profit, making a mind-boggling £12,707 profit from a £2,000 starting point after membership fees over the past year. • Also impressing is ‘Tipster 10’ who made a £4,310 profit from a starting bank of £2,000 for an outlay of just £50 per month. • 11 of the 15 tipsters made a profit in the past 12 months. Ideally it would be all 15, but at least you know this table is realistic because not every tipster wins over a rolling 12 month period. • Of the 4 tipsters that made a loss – these were in general very small deficits (e.g. £20, £34 and £40). Crucially all 4 have excellent long-term records. 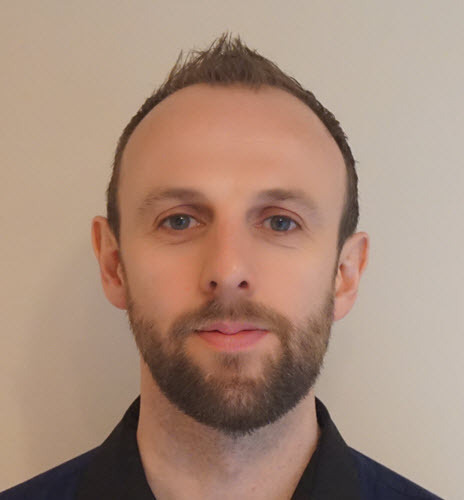 • The average age of a Hall of Fame racing tipster is over 5 years – showcasing how long these services have been advising bets and why they can be trusted. Exactly how much money can you make after you pay for a tipster in the first place? All the profits listed above are AFTER fees have been deducted from the final sum. So for example, the £2,632 profit made by ‘Tipster 1’ is after the £27 monthly fees have been removed. In terms of what you can expect to pay for a top tipster, the average cost sits around the £30 marker, although this does depend on many factors. Generally, the more exclusive a tipster service (i.e. those that keep membership numbers very low to protect odds) then the higher the subscription cost. 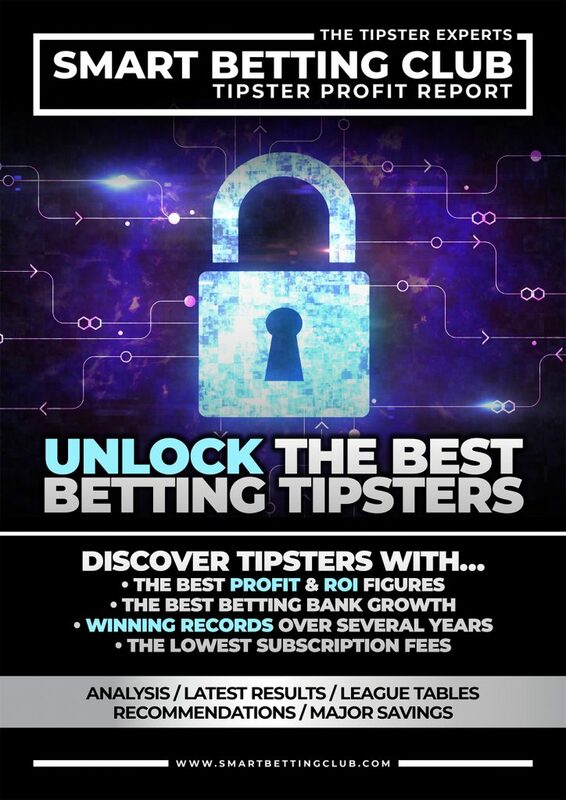 It is worth pointing out that as an SBC member you can benefit from several exclusive discounts and free trials to many of these tipsters, which reduces these costs further too. One thing you shouldn’t be is put off by the size of the suggested betting banks on offer in the table above. We put these together as an example, but many people can and do follow these tipsters with much less. You certainly don’t need £5,000 to get started betting profitably – far from it! Many SBC members enjoying success from their betting started off with much smaller amounts initially and gradually built up their betting banks with the profits recouped. After all, betting for profit is not a sprint – you should take your time to get it right. The best news is that you can now sign-up to the Smart Betting Club risk-free courtesy of our 90-day no quibble make-money guarantee. This ensures you can join today and if not happy for any reason whatsoever with our service, you can get a full refund within your first 90 days. Ensuring you can test us out with full peace of mind. 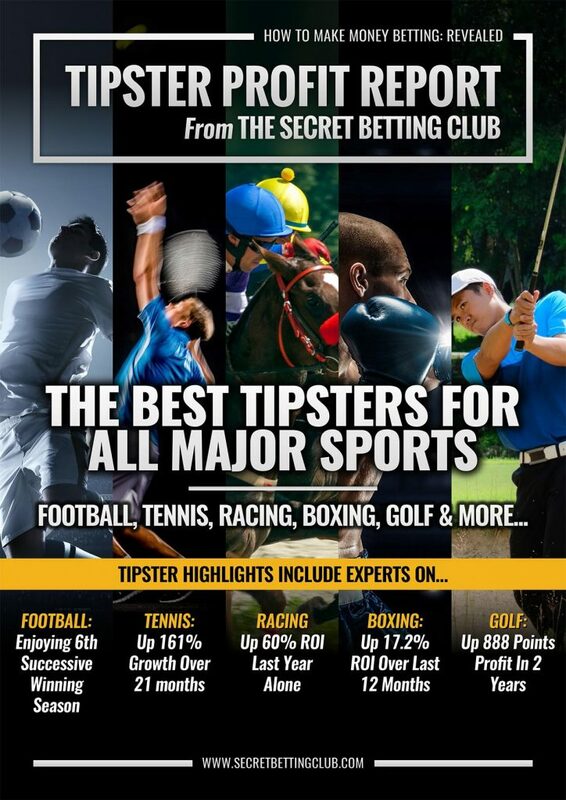 You can gain instant access to the latest Tipster Profit Report and everything else we offer here at the Smart Betting Club as soon as you start your membership. In today’s modern betting world, one of the most essential points to consider before joining any tipster is an understanding of just how realistic the odds they quote actually are. Can you REALLY match the results a tipster claims? Because, as important it is to check out a tipster’s expertise and their long-term results, it is pointless to join any tipster if you can’t get on their bets at the right odds. After all, if a tipster says a bet is value at 16/1 and you can only get 10/1 at best, you are taking a price 37% lower than is recommended. The type of difference that can turn a profitable tipster into a losing one if repeated time and time again. 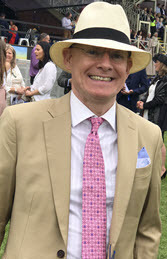 Whilst it is widely known that trying to match the quoted odds for some very popular tipsters like Hugh Taylor is nigh-on impossible, odds movement is also a problem for many lesser-known tipsters these days. This includes tipsters that put up tips very early the day before racing in weak markets or those that quote odds with bookmakers known to slash odds at the first sign of money. Very often they are claiming odds you can’t replicate and if not careful, you could end up badly out of pocket. So, what should you do if wary about joining a tipster for fear of not getting the odds? For every tipster review I oversee at the Smart Betting Club, I engage a member of my team to track how the odds on each advised tip stack up. To take a recent example – In the 2017 Best Tipster Guide, I reviewed a racing tipster for whom we had tracked the odds available for several months. Painstakingly noting down the best odds for each tip as each day wore on to see how the quoted odds held up. This tracking compared the advised odds by the tipster with the following: the best odds available on receipt of email, after 15 minutes, at 10.30am or 60 minutes later (whichever applied) and to SP. To make this exercise even fairer we only noted down the odds offered from just 10 bookmakers. What we ultimately discovered was that the odds quoted by the tipster were very fair indeed, with only a -0.2% to -0.6% ROI difference between those advised and those we could obtain. Whilst there were bigger differences such as the -5.2% ROI difference at 10.30am and -14.3% ROI difference at SP, this is to be expected for any shrewd racing tipster. Ultimately this was not a tipster you should be following at 10.30am or SP. The clear evidence from this tracking was that this tipster is claiming achievable odds and is one to follow. NOTE: This tipster advises the vast majority of their tips during the big race meetings and on Saturdays, where there is a lot more money swilling around in these markets. PRO TIP: Look out for tipsters that put up bets in similar markets as you will often find they are much easier to get on! As I perform similar odds tracking for each tipster SBC reviews these days, I also compile all of this data and present it in our Adjusted Profits Tables to present the differences on show. Helping you view at a glance as to which tipsters offer the fairest odds! This Adjusted Profits Table is available in our latest Tipster Profit Report and helps to raise awareness of those tipsters with both fair and possibly, unfair practices when it comes to settling bets. Allow me to illustrate the power of this table further by using two examples from the latest Adjusted Profits Table (as taken from November’s Tipster Profit Report), which are based on the annualised profits made to a £2,000 betting bank. Note: This £2,000 betting bank figure is merely a simple comparative sum – you don’t need this sum to follow these tipsters, it just helps us to compare and contrast easily. In the example featuring Tipster 1 below, our tracking revealed that you could actually boost the claimed profits by as much as 4% within the first 15 minutes of their advising a bet. This is down to an extremely fair policy whereby Tipster 1 quotes and settle all tips to a very achievable price. Simply by using a site like Oddschecker to compare the best odds you can often beat their results. To the £2,000 bank comparison sum, this 4% ROI difference in your favour over a year would be as much as £665 – a very considerable sum indeed. On the other hand, there are also those tipsters who quote what can be considered unrealistic odds as this next example proves. If taking Tipster 2’s claimed results, you would have made a £3,554 profit – however with this service we noted major changes in price with an 8.5% ROI drop within the first 15 minutes. This claimed £3,554 profit quickly became £2,519 – a drop of £1,035. Still profitable, but certainly not to the standards being claimed. Odds availability is a crucial element of any tipster analysis and ultimately helping you choose and find the best tipsters to make you money betting. Therefore, before you consider joining a tipster, stop to consider just how available or easy their claimed profits actually are. You need to know if you can match their advised prices…because it can ultimately determine whether you can make a profit or loss from their advice! The good news is that there are many tipsters out there, including those in our Hall of Fame who operate fair odds availability policies. Ensuring that at worst, you can match their claimed results and at best – even improve on them by using odds comparison websites. You can find the full ‘Adjusted Profits’ Table in the latest Tipster Profit Report, where you can see the individual rundown of the odds tracking for each tipster we have observed. It’s a great way to discover those tipsters that quote fair odds and where you can realistically match the profits they claim. All SBC reviews also include odds tracking as standard these days, so you know at all times just how each tipster stacks up when it comes to fairness. Odds tracking is all part of our quest to genuinely help you make money betting with tipsters. If you want to know more about the very best betting tipsters (including those that quote FAIR odds) then you might like to consider a Smart Betting Club membership. Best of all, membership also now comes with the full peace of mind provided by our 90-day risk-free money back guarantee. Sign-up for either a Gold or Platinum membership and if you don’t like what you see, you can get your money back at any time during your first 90 days as a member. If you sign-up and don’t like what we offer for any reason, email us and we will process a full refund. It’s that simple. We offer this guarantee as we know the difference SBC can make to your punting – so why not sign-up right away and get started immediately. Keen to learn how you can make money betting with tipsters? Then make sure you grab your copy of the latest Tipster Profit Report, featuring ratings, rankings and reviews for 61 of the very best betting tipsters the SBC team have uncovered since 2006. Sign-up now to gain instant access or read on for more details on how this report can help you and your betting. Tipster 1: The 5* rated racing tipster hitting over 100% ROI in each of his last 3 months. This expert has the bookies on toast with a 56% ROI over the last 12 months too! Tipster 2: The football tipster that keeps racking up the profits with a 22.7% ROIover the last 12 months alone. He has made a fine profit in each of his last 6 seasons. To help with this we breakdown the 61 tipsters into different categories so you can easily compare and contrast them. Unique ‘Suggested Profits’ Tables – how much money you need to risk and how much you can make betting. Fully tailored to each tipster to be entirely realistic. Best of All – Save Up To £38 On An SBC Membership! You can pick up your copy of the latest Tipster Profit Report, the instant you join the SBC service with full access to our exclusive members-only area. Best of all, you can now join and save up to £38 as part of our specially discounted 2017 membership prices. 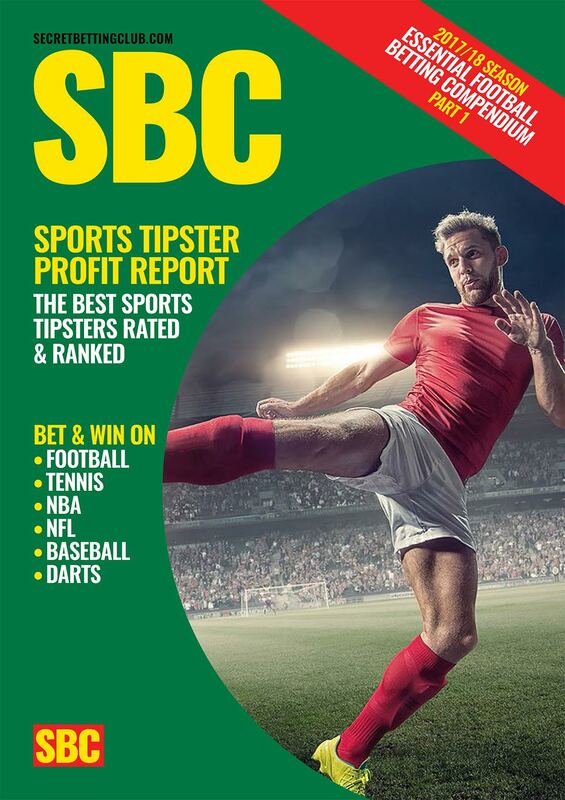 To help you find the best, most profitable tipsters, here at SBC we have just released our latest Sports Tipster Profit Report, featuring everything you need to know about making money betting on the likes of Football, Tennis, NBA, NFL, Baseball & Darts. 24 Of The Best Sports Tipsters Rated, Reviewed & Ranked Including…. Tipster 2: The Baseball expert averaging 133% betting bank growth each year. The release of this Sports Tipster Profit Report forms Part 1 of our 5-Part Essential Football Betting Compendium for the 2017/18 season – Parts 2, 3, 4 & 5 will be unveiled in coming weeks. Plus: 34 Of The Best Horse Racing Tipsters Revealed! To help with this we breakdown the 24 tipsters into different categories so you can easily compare and contrast them. Save Up To £38 On An SBC Membership! You can pick up your copy of the latest Tipster Profit Report, the instant you join our service with full access to our exclusive members-only area. Making it a great time to sign-up and see how we can help you and your betting!